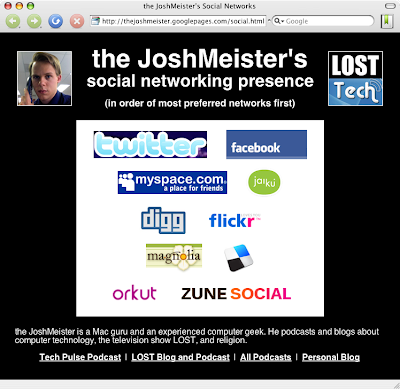 the JoshMeister's Weblog: I'm So Totally Social! Good idea on track all of your social networking gigs. Partly for your own good and partly for those that want to network with you. Btw, how do you find the time to keep up with all of your blogs and sites? Do you have a day job? 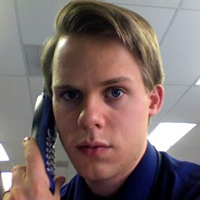 Yes, I have a day job. =) Blogging and podcasting are hobbies that I enjoy, but trust me, there's no way they're going to pay any bills. I try not to spend too much time social networking, although I do find it interesting and occasionally kind of fun.